Luka Fric is a Slovenian actor, born on December 16th 1994, now living and working in New York City. ​ In February 2015, he graduated from the musical theatre conservatory training at The American Musical and Dramatic Academy (AMDA) at their NYC campus. ​ Fourteen days after graduation, Luka performed at The Metropolitan Room, voted number one jazz cabaret club by New York Magazine. 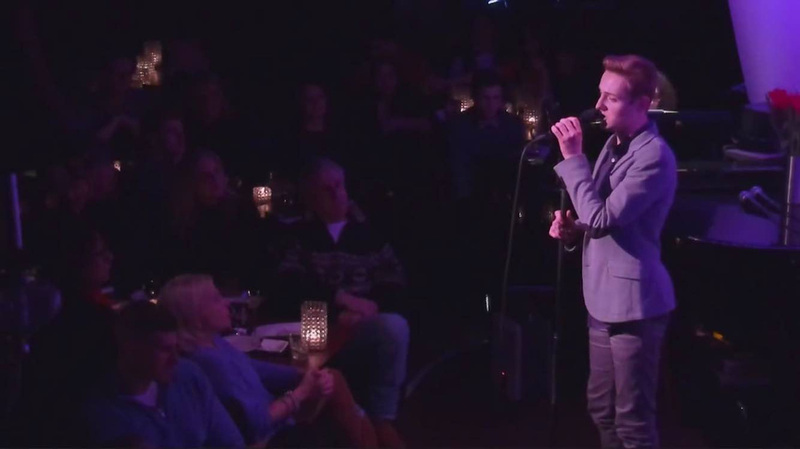 The venue's Host Manager/Booking Manager Joseph Macchia spotted Luka's talent in his AMDA showcase and invited him to perform at the cabaret. Thus, the original cabaret show entitled Broadway, Here We Come was created to present 8 aspiring individuals. 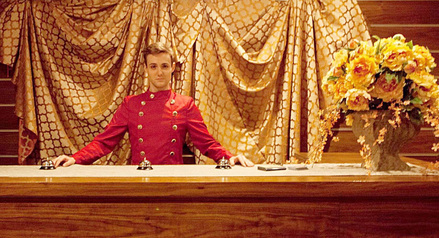 Luka Fric originated the roles of Bellhop and Newsboy in Speakeasy Dollhouse's immersive show Ziegfeld Midnight Frolic at The Liberty Theatre in Times Square, NYC. From February to October 2015 the show had an impressive 6 month run and became the longest running show at The Liberty Theatre in 82 years. In April and May 2015, Luka starred in the role of Corey in the musical review Mad About The Boy. The show ran at The 13th Street Repertory Theatre in Manhattan, NYC for 5 weekends. The Company was founded in 1972 by Artistic Director Edith O'Hara, who has received commendations for her work from NYC Mayor Bloomberg, NYS Governor Cuomo, the First Lady Michelle Obama and President Barack Obama. The 13th Street Rep. Company is a member of Heart of Off-Broadway and was voted the Best Off-Off-Broadway Company to act with in New York City by Backstage: The best of New York. In January 2016, Luka Fric portrayed the role of Paxton in an upcoming motion picture Trip To The Moon, filmed at the JHD Productions Studios. The movie was directed by Brian Michael Finn and will premiere in 2017. Since February 2016, Luka Fric is starring in an immersive play The Illuminati Ball, created by artist and playwright Cynthia von Buhler. On select performances, the show features Prodigy, an American rapper and one half of the famous hip-hop duo Mobb Deep. In Spring 2016, Luka Fric has been offered a position in Sounding Circles Opera Company's Core Vocal Ensemble. Luka has thus become a part of the 12-person vocal group, carefully assembled by company owner Joule L'Adara for their special qualities. The company performs sound-healing concerts, which include choral music and improvisational singing. 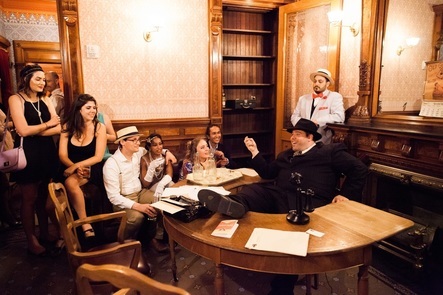 In July and August 2016, he performed as Martine (the elevator operator) in a new immersive production of Speakeasy Dollhouse: The Bloody Beginning. 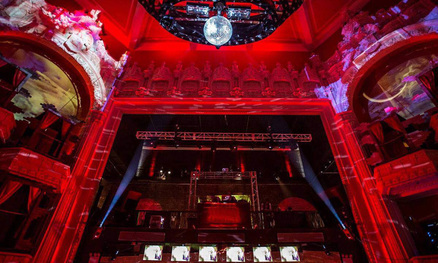 The show had a successful 5 year run at a Lower East Side location and had returned for the summer to a beautiful new venue, The Williamsburg Savings Bank in Brooklyn, New York. The Bloody Beginning is said to return in Spring 2017. Stay tuned! In August 2016, Luka worked on It Gets Better?, a short film wrote and directed by Stephen Riscica. The premise of the film is simple: an older gay man sits alone in his apartment in the middle of the night stuck in a YouTube hole of It Gets Better videos. After drinking heavily, he decides to create his own It Gets Better video where he shares his story with the world. 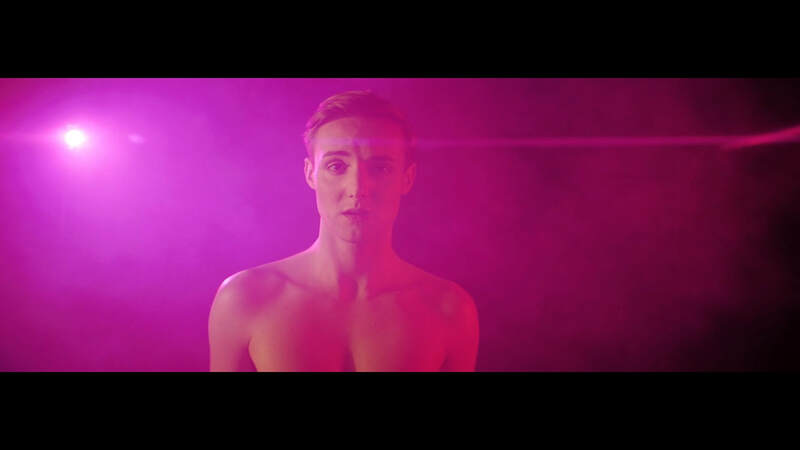 Through vignettes, Fric portrays the man in his past memories as he was coming to discover his sexuality. 10% of the film's Indiegogo campaign funds will go to the Trevor Project, nation's leading suicide prevention organization for LGBTQ youth. The film has been screened at multiple film festivals all over the world, including Nice International Film Festival and Festival de Cannes. Moreover, Luka received Best Supporting Actor nominations at International Filmmakers Festivals in Milan, Italy and Berlin, Germany in 2017.